Several builders erected a row of houses in 1738, facing east, on land belonging to Lord Berkeley to the south-east of Grosvenor Square, known as Berkeley Row. In the 1740s other houses were built to face them from the west, creating Berkeley Square. Unlike other squares there doesn’t seem to have been any plan to create an estate or even any uniformity of architecture. By the middle of the 18th century the leases were expiring on the original houses built at Bloomsbury, St.James’s and in Soho. They had been built to last for more or less the duration of the lease, which in some cases was as little as forty years, and by then were in a poor state, needing to be rebuilt or extensively repaired before they could be re-leased. By the 1740s much of what is now Mayfair, bounded by Portugal Street (the western end of Piccadilly) to the south, Tyburn Lane (Park Lane) to the West and Oxford Road (Oxford Street) to the north, as well as the area immediately to the north of Oxford Road with the Edgware Road to the west, had been developed. The prestigious London squares – Bedford, Bloomsbury, St.James’s, Berkeley, Grosvenor, Hanover, Cavendish – had all been connected. 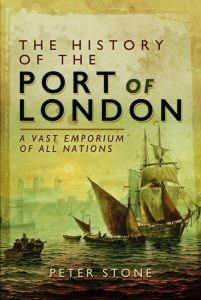 From then until the 1760s Britain was once more at war and little major development took place in London. During that period there was in fact a lack of housing to meet demand, causing a housing shortage. Sources include: John Summerson ‘Georgian London’; John Richardson ‘The Annals of London’; Maureen Waller ‘1700’; ‘The Story of Mayfair’; London Topographical Society Newsletter.